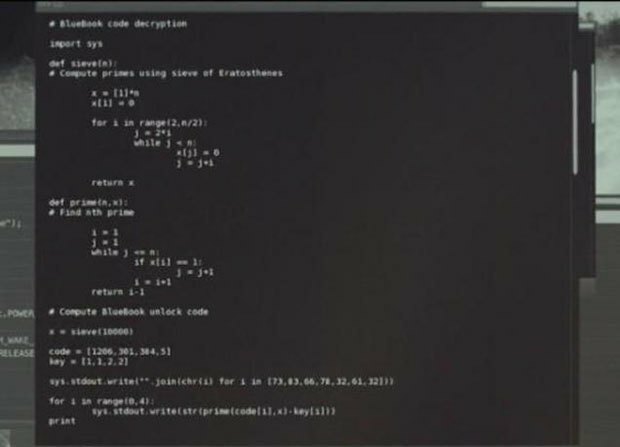 A Redditor has found a surprising hidden message in the source code displayed in new film Ex Machina. Upon first glance the code is irrelevant to the actual function of the film. But by running this segment of code through Python 2.7, you get the ISBN code for the book Embodiment and the Inner Life: Cognition and Consciousness in the Space of Possible Minds by Murray Shanahan. User Infinite_3ntropy discovered this "easter egg" and has posted the original code in a thread. We can add this to the list of cunning subliminal hacks in films, much like icognito cameos or x-rated characters in the backgrounds of Disney movies. Filmmakers are always trying to tell us something else about what we are viewing when we look just a little bit closer. And closer: Here's our recent roundtable discussion on the ethics and boundaries of artificial intelligence sexuality.